Read on to find out three effective joomla website design improvements that can significantly reduce bounce rates and help you to compete effectively online. If visitors bounce off your web pages in under a minute or leave your website after viewing just one page, it can mean either of the two things. Either your web pages needs to be redesigned such that it appeals to your customers or your SEO needs to be tweaked to target the right audience. Joomla is one of those few website design and development platforms that allow deep customization, supports advance content management capabilities and has built-in SEO features. Here are five things you can do to attract and retain customers on your Joomla website. 1. Get custom templates: The web is filled with readily available Joomla templates. It is however, strongly recommended that you engage a joomla website design expert to create customized template for your website. Large banner image that directly talks about what you deal in along with effectively texted tabs contributes to a great user experience. Visitors get to know about your offerings quickly. This improves the chances of interested visitors viewing more pages and eventually placing an inquiry. 2. Convert PSD to joomla template: Here’s a quick test of the user experience of your website. Check your website on multiple browsers. Does it look exactly the same on all the browsers? If no, you need to covert the PSD images into joomla template compatible. This will give pixel perfect joomla website design no matter which browser your customers choose to use. 3. Balance out content-image layout: Are your web pages pelting visitors with information or are they anemic of content customer needs before buying from you? In either of the situations you need to revise the content structure on your web pages. 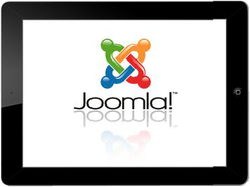 Joomla CMS development tools allow for do it yourself editing. Organize text as well as multimedia rich content on your web pages with drag and drop feature. Do you know some tips and tricks that have helped you reduce bounce rate on your Joomla website? Comment below and share it with our growing community of readers. Wondering what is it that customers look in for while browsing through a website? Here’s your chance to take a peek into the minds’ of website visitors. First impression lasts long: Imagine this. Your website is on page one of Google. An interested customer just clicked on your site. It’s loading. And finally when it opens up, there are jazzy images all over the page and gaudy content. The visitor is overwhelmed with sharp color scheme and decides to quit. You just lost a potential customer. Website is the first interface for the customers with your company. A ‘welcoming’ web page design is appreciated by a majority of them. Words matter: Do you have information of real value to your web visitors or are you simply lauding your capabilities and wasting their time? If you’ve got your SEO right, it’s highly likely that most of the visitors to your site are genuinely interested to buy the services or products you offer. Take help from an experienced website design company to organize your content layout and assess the quality of the content on your website. A word of caution- no matter how tempting it is, avoid throwing in industry jargons. Intuitive browsing: If your customers are unable to find what they are looking for, they are obviously not buying from you. Whether yours is an online auction portal or an event registration site, keep your web design user friendly. Professional website design services from experienced website design company gets you smartly texted tabs arranged properly to make navigating through your website a breeze. Want to delve deeper into the online buying patters of your customers? Use website analytics. It will give you deep insights into how visitors respond to your website and also highlight the problem areas of your website. 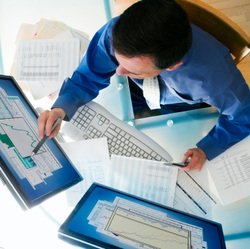 An expert web design company can help you properly install website analytics to help you churn out dollars from data! Not sure your website needs a redesign? Here’s a small test. Browse through your site for a while. Watch your reaction. Do you adore the elegant design of your site or do you cringe a little? If it’s the latter, then redesign is on the cards. If you need some more reasons, read on to know top five signs that tell your website needs redesigning. 1. Gloomy analytics. Too many visitors but anemic conversion rate is a typical symptom indicating your website needs a change. Other signs of doomed website are - slow loading, less time spend on the site and huge drop out rate. This shows your customers feel disconnected with your site and are switching to your competitors. 2. Managing web pages feels like a battle. Like an ambitious entrepreneur, you went out to explore new grounds, added new products and kept on hauling in new pages on your website. Now it has gotten bigger than a mammoth and you need to spend hours for making even a small change on your website. Does this sound like your story? Talk to a website design company having experience in CMS solutions. 3. You admire your competitors’ sites. If you catch yourself admiring other companies’ sites, its time you stop thinking about website redesign, instead just get it done. 4. You celebrated five years in business with the same website. Aesthetics evolve. If it’s been more than a year you redesigned your website, its time to give your loyal customers a refreshing look. 5. Your site can’t be browsed on smartphones. 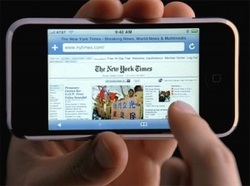 The web surfing trend is rapidly shifting towards mobile browsing. If your website is not mobile responsive, you are probably loosing out on a massive pool of potential customers. Web design company Australia can help you win customers with impeccable mobile responsive sites without weighing down your budget. If you are still reading this blog, it is a strong sign that you are considering web redesign but are not sure whether your site needs a redesign now or sometime later. Australia has long been a hub for spectacular web designing. 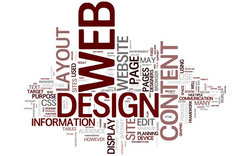 Consult with an expert web design company Australia. It will be great to know how you can delight customers with all new refreshing experience on your website.